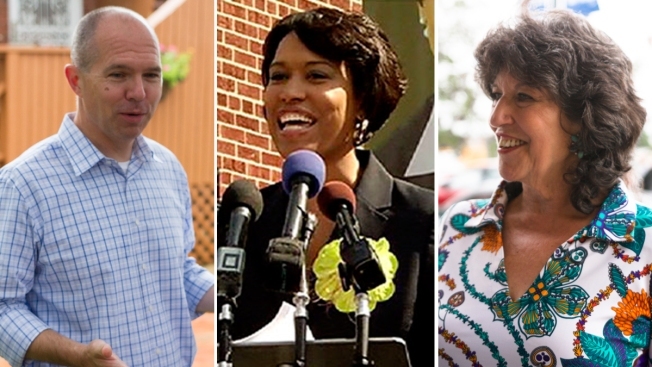 Will Democrat Muriel Bowser sweep to a commanding win for mayor by a 15 to 20 percent margin over competitor David Catania? Her top supporters believe so. Will Catania — boosted by motivated black and white voters who want a more activist mayor — pull off a stunning upset in this Democratic town? His supporters hope so. Will late-entry candidate Carol Schwartz, mired in third place all summer, get just enough legacy votes to deny Bowser or Catania a victory? Her supporters hope for more than that. And how many registered voters hoping to legalize marijuana will turn out to vote for Initiative 71 and then take time to vote in the mayor’s race? No one really knows. Welcome to the most interesting general election our city has seen in 20 years. Bowser won the Democratic primary in April and immediately turned aside reporter questions about a Catania campaign, charging that the media just wanted to create a campaign contest it could cover. Bowser spent the next five months with limited public appearances, pretending Catania didn’t exist, declining to accept invitations to neighborhood forums and raising goo-gobs of cash for her get-out-the-vote effort. Initially, her top campaign aides openly had suggested Catania wouldn't even run, that Catania's chance at mayor died when Bowser defeated wounded Mayor Vincent Gray in April. Meanwhile, Catania doubled down. He filed hefty voter petitions to get on the ballot. He began holding small meet and greets, and he accepted — as any challenger would — every forum, debate or public appearance he possibly could. As the chair of the D.C. Council’s Education Committee, Catania had met with more than 130 parent and school groups around the city. His promise to step up school reform resonated with many of them, but now, will they vote for him? The opinion polls consistently have shown Bowser as the leader, almost safely ahead. Still, the pool of undecideds and voters willing to switch their allegiances nag at some on her campaign. Given that Bowser is the Democrat in an overwhelmingly Democratic city, most think she should easily win this race. Bowser is well-organized and has focused on getting out the vote. Her supporters in Ward 3 this past weekend waved Bowser signs and others reading #WeDoVote. A fear is that voters inclined to support Bowser, but not inspired by her, simply will stay home. Catania voters by and large appear motivated. But are there enough of them? A number of political professionals and observers expect another racially split election. Bowser should easily win the majority of the black vote, they say, but how much of a turnout will there be? Political activists in wards 7 and 8 say Bowser will carry those areas easily, but the turnout might be slimmer than she wants. Catania has support among African Americans familiar with his work on schools and the United Medical Center, but the polls suggest he needs far more of the African-American vote than the poll responses indicate he’ll get. And he does need a bigger-than-expected turnout of white voters to win the election. At the D.C. Chamber of Commerce dinner Saturday night, Bowser was basking in support from the array of business leaders. A few of them privately said they were surprised by the quiet support Catania was getting. But again, is it enough? ■ Jack Evans' first-timers. Jack Evans was already the Ward 2 D.C. Council member when his children were born. Throughout their childhood, they handed out campaign literature for their dad. But on Nov. 4, triplets Katherine, John and Christine will cast their first votes ever in an election. They'll turn 18 in November. So, who are they going to vote for in the mayor’s race? “It’s a secret ballot, a secret ballot,” their father said, but proud that his children will be voting. It is a proud day for them, their father and all families that vote in our city.